The news item “Geneva process: the UK seeks faster progress’ in The Island on Saturday, April 6th epitomizes British Parliamentary hypocrisy in the House of Commons. The Foreign Secretary, Britain’s chief diplomat’s slip is showing. Only an absolute hypocrite can presumptuously speak of Justice and Accountability. The British committed horrendous injustices during two centuries of colonial rule in Asia and Africa. Let alone justice, it has not even apologized for its atrocities. Similarly, how can a British minister speak of Accountability when Britain’s own Prime Minister Theresa May has refused to allow international scrutiny of the conduct of UK troops in Iraq? Britain has done nothing to hold to account, the former Prime Minister Tony Blair who with the USA invaded Iraq on the cooked-up charge of weapons of mass destruction which have not been found even after 15 years. Hunt was responding to questions raised by MPs Gareth Thomas, and Theresa Villers. With 68,797 registered voters in the 2017 polls, he was returned with a majority of 13,314 votes over his Conservative opponent, up from 2,208 in the 2015 elections. Harrow West has a significant number of “immigrant” communities (Indian, Muslim & Sri Lankan) and is probably one of the constituencies with one of the largest Tamil voters. There are also smaller Sinhalese & SL Muslim Communities. With 77,218 registered voters in the 2017 Polls, she was returned to parliament with a razor-thin majority of 353 votes over her Labor opponent, down from 7,656 in the 2015 elections. Even though Chipping Barnet does not have any significant number of voters of Tamil origin, she will need every single vote she can secure if she is to retain her seat in the next general election. In April 2018, she wished “Puthandu Vazthukal to all my Tamil constituents” and said, “I hope that all my Tamil constituents enjoy the traditional festivities and wish them a very Happy New Year.” There was no ‘Subha Aluth Avuruddak Wewa’ for Sinhalese constituents. Questions raised by both MPs and response by the Foreign Secretary must be understood in the context of pandering to the Tamil diaspora voter base they so desperately court. Genuine concerns for such ideals as Justice and Accountability must stem from altruistic reasons and applied impartially rather than selectively for narrow political objectives. Hunt, Thomas, Villers and all others in the British parliament have failed to utter even one word on behalf of the Chagossians (people of Chagos Islands), forcibly evicted off their land of birth by British authorities in the 1960s and 1970. It has refused to accept the recent International Court of Justice non-binding ruling declaring annexation of Chagos Islands illegal. They have also failed to speak out of the mess created jointly by the US and UK in Iraq resulting in over a million deaths. Is this British MP’s understanding of Justice? It indeed is British political hypocrisy at its best! Should not British MPs worry more about faster progress with the Brexit deal voted by 51.9% of British voters? If we were not colonised, we would be like Somalia or Afghanistan today. We are always not grateful to them for what they have done to us..
5) our election system was built by them..
7) still our degree is recognised by them,..
so, many legacies they left for us in Sri Lanka and yet, we always think about them as looters of some of our natural resources. be honest. I would argue that what they gave us more than what they took from us..
we did not have any tech-know skills to generate electricity until they built us Victoria reservoir to get electricity …. look what did our politicians did since they left us..
Mahinda built Hammbantota port, and Mattala airport with Chinese help? look what happened now.. we end up with giving 10.000 acres of land for 99 years..
likewise many more examples we could cite here..
we must be objective when we make any criticism about any colonial powers..
And Patali Champika Ranawaka said his ancestors discovered ZERO. Champa will be very crossed with you. Rajeewa you are saying that MP wished Tamil constituents for new year and not Sinhala constituents. That is because she knows that it was originally Tamil new year which Sinhalese copied. In the archives you will find that in old days under list of holidays only Tamil new year appears and there is no mention of Sinhala new year. The Brits have people of the caliber of Baron Naseby. By the way the TULF on seperate state platform contested and won 54.27% of the popular votes in Northern and Eastern province combined in 1977. In the North alone it won 70.27% of the popular votes. Lets discuss about little islander’s hypocrisy first and then if we have time move onto rest of the world. Why you talkimg of the popular vote in two provinces? Talk of the popular vote of the whole island like 51.9% of the whole UK voted against Brexis, not one or two regions! Have a guess, if you have gray matter in your head or alternatively if you are not sitting on your head. . Compare apples with apples, not with pears? Are you sitting on your grey matter or have passed the little you had into a toilet? The old colonial mastah’s biggest crime was teaching us to play his time-wasting games like cricket and golf. Both are a huge drain on our scarce natural resources and has led our people into bad practices like cheating and gambling which was something we Sri Lankans knew nothing about during our glorious two-thousand-five-hundred-year civilisation. Even worse was sending all those teachers to teach us English and exhort us to Disce Aut Discede which is another thuppahi language that has led us to a further deadly sin, pretentiousness. The truth though is that Jayaweera is still upset at being forced to learn English and regrets his inability to write anything sensible in Sinhala. Aiyoo! Aiyoo! It was not the British who looted from the Tamils but the Sinhalese , they looted Tamil wealth , lands , culture , festivals , like the Tamil New Year but do not want to acknowledge this. Get very angry when others do , as they want to portray all these as pure Sinhalese. Everything about the Sinhalese reflects their Tamil Dravidian ancestry. Nothing North Indian/Bengali, proving that their ancestors were Tamil. The only mistake the British did was to merge the Tamil lands with the Sinhalese lands in 1833 and create a new colony called Ceylon and when they left , instead of separating them again , as they found or creating a federal system, they handed the rule to the Sinhalese , who have made a mess of everything. Yet the Sinhalese keep on repeating the lie the British favoured the Tamils. They did not they always favoured the Sinhalese but used the Tamils for their hard work . The Indian origin estate Tamils for their hard labour to produce immense wealth in Tea /Rubber for the British . The Jaffna Tamils for their education to man their clerical and administrative positions in the island and in many other British colonies,. however they always favoured the Sinhalese and gave them the whole island including the hapless Tamils and their lands , to which they had no right. You are right. Brits did not loot the Tamils. They used Demalu brought to this country illegally as slaves (aka indentured labour) from Hindusthan to loot the resources of Sinhale. Also, they used Demalu in their army to kill Sinhalayo. Sinhalayo have a unique language, culture, customs and traditions. These things evolved in Sinhale (Tamils called Seehala Nadu). Because Demala invaders ruled this country for short periods and few stupid Sinhala Kings embraced Shiva religion and allowed Hindians to settle down in this country some influence of Dravidian culture cannot be ruled out. But clearly no large scale borrowing. What Demala people in Sinhale have (language, customs, culture) are imported from Hindusthan. There is nothing on their own. Instead of trying to distort the history of Sinhale learn to face the truth. Tell these fairy tales to the idiots who patronise ” Lanka Lies” and those bigots will lap it up. You are welcome to slavishly kiss @ss as much as you want ! 2) our trail way was built by them, Not sure what a “trail way” is but I’m sure you’re right. Our Mother Country – Good Old England- is full of “trail ways”.. and very advanced ones, I am sure. 3) our education system was developed by them. – Yeah, that’s right. Before 1815, we had no schools, no education .. just like the Indians, the Arabs and the Chinese. 4) our public administration system was contrived by them – Before 1815, we also had no government. We were running around dressed in leaves, living in trees and painting our @rses blue. No Rajakariya, no King or Court or Nobles, No peasants. 5) our election system was built by them.. – Yup -. We had a monarchy, which was substituted by….. hey ! Another Monarchy !!! 6) our higher education was planned and designed by them… – This is a priceless one ! I dont hink it’s fair to hold them responsible for that ! One thing I do know for sure is that after 1815, you have stopped reading about anything that happened before 1815 !!!!! Did you have Appa with very hot kattu sambol? Rajeeva has become an Old Gramophone record. Blah Blah Blah Chagos, Diego’s, Iraqos, Libiyagos…….. If you understand law or politics or economy can you write your comment in this thread please? If Lord Nearby says it is a great revelation, but if others say it’s all done only to win election. May I ask why the Old Royals, SLFP, UNP preach racism in South? To lose election or to win election? Why do you deliver Arrack and Biriyani in election time? For 70 years your only talk in economy was down loading rice from Moon and then leaving the people stand on the road for bread queues! 1948s dollar rate 2.35 has grown to 180 in 2018. Strangely America is growing at 2.5% while Lankawe, the miracle of Asia is growing at 9% (2012). Could you explain the math behind this? American economy is growing slower than yours, but the Dollar is growing to Rupee at lighting speed? You spent 400 billion to destroy Tamils, as per your partner Shiv Shankar Menon. You gave Colombo Pong Cing and Hangbangtota Port China, borrowed money, bought Chemical weapons, Thermobaric Bombs and Cluster bombs from Britain and India to bomb your own citizens. Now you are trying to hide to the same Britain of importing the bombs. But still Britain is not really doing anything to you. The man who bought the bombs still can go to Britain (Though he is little bit afraid to do so.) Iraq used only Chemical Bombs on its citizens. Britain sent its troops to capture Saddam. Could you ask Britain why is it showing partiality on Tamils problems? Strangely America is growing at 2.5% while Lankawe, the miracle of Asia is growing at 9% (2012). This can be explained very easily and well to a person who has the intellect to understand what is being said. From the way you asked the question, it’s clear you do not have the capacity for it. So, don’t worry about those stats. They are not for you. What about Sinhalese Buddhist hypocrisy? I hope you understand the meaning of hypocrisy. Don’t waste time with Rajeewa. Day by day he is becoming more and more idiotic. What about Tamil hypocrisy of desire to live in Sinhala majority areas while complaining of genocide and demanding a homeland? There is plenty of space in North East. Tamils do not want to live in Sinhalese areas but are forced to , as their areas are deliberately not developed by all Sinhalese led governments since independence, so that Tamils are forced to be economically dependent of the Sinhalese South and are forced to move out. Further during the war there was a deliberate scorched earth policy followed by the Sri Lankan government and armed forces of making like hell for the Tamils to live in the north and east ,by Ariel bombing , shelling, brutal massacres by the Sri Lankan armed forces, Sinhalese thugs/criminals who were sent there as colonists, and Muslim home guards. This forced over a million Tamils to leave the island or move to the South. If there was any development in the Tamil areas , the Tamils never benefited, Sinhalese were brought in from the South , just like in Prima flour factory to work . Yet 70% of the Indigenous Tamils still live in the north and east and it will be around 80 % if you add the once Tamil North West coast. 90% of the Tamils living in the Sinhalese areas are the Indian origin estate Tamils who had always live there and in reality contribute to the country’s economy more than the Sinhalese. Tamils cannot live in Tamil areas because it can not be developed. due to Tamils like you running away from the country to wash toilets and plates in the west and another group running away to the Sinhala South (even though they complain of genocide) for the good life. Yes and thanks to your Tamil wife’s relatives you ran away to Australia to have a good life and then post venom and hatred here. Tamil did not run away for the good life but were forced to leave due to the activities of all Sri Lankan governments from independence, the armed forces and racist Sinhalese like you . Many of whom like you have run away , like rats leaving a sinking ship , for the good life in west and then from there post racist hatred and venom against the island’s Tamils and now also against the Muslim Tamils, who were your one time allies. You want respect , equality and the good life, for you and your children , in your new homelands in the west but do not want the same for the Tamils living in the island , who have far more rights to the island than the Sinhalese. What nasty pieces of goods. Hoo Siva, I live in Colombo and no where else. Despite ‘activities of all SL govt.s’ and genicide, how did so many Tamils live and do so well outside the ‘Traditional Homeland’ ? Coomaraswamy, Balendren, Sivaratnam, Gnanam, Vigneswaran, to name few? Who said Tamil areas cannot be developed. Be honest and say that Sinhala racist governments do not want to do it. Any meager development done in northern or eastern provinces was to settle Sinhalese to alter the demographic pattern. Look at how the islands in Maldives have been developed as tourist resorts. Do you think that the small islets around Jaffna peninsula cannot be developed as tourist resorts. Tourist resorts in eastern province have been handed over to Sinhalese. The second economically viable international airport has to be in north either at Poonagari or at Mankulam. Why has this not been done. If you are really honest about developing north, please cooperate with India to deepen the Palk strait without doing underhand activities in putting up those in India opposing it. Agree to build an undersea tunnel linking with India either between Mannar and Rameshwaram or in the alternative between Jaffna and Vetharanyam coast which is longer but has easier access to major cities in Tamil Nadu. When you deepen Palk Strait, Jaffna port can be developed as the main transshipment harbour for the area. When you have a road link between north and Tamil Nadu, those areas will benefit economically as goods can be transported cheaply. Link with Tamil Nadu and Israel using their expertise to convert barren areas of north and east into lush agricultural fields. Please remember the precision farming methods put forward by agriculture university of Coimbatore in Tamil Nadu has been been included in the curriculum of London School of economics. Tamils will never be allowed to prosper in Sri Lanka, their progress curtailed either legislatively or through violence. contd: The Sinhalese talk a lot but want them to live in the Sinhalese areas and not move to the north and east , as if they leave the important tea, rubber and many other industries will collapse. This is why when they flee to the Tamil areas , for safety , the military forcibly rounds them up and brings them back again. Strange as citizens of the country , they cannot move to Tamil areas but Sinhalese thugs and criminals are settled in the north and east by the state to create trouble. 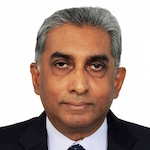 The Sinhalese also do not want the Tamils in the Colombo area to leave, as they contribute heavily to the Southern economy , of they also move many businesses and industries will collapse. You know all this but keep on repeating the same lie and misinformation ,thinking that a lie often reported becomes the truth. What about Sinhala/Tamil hypocrisy you descendants of Kallathonie are not only occupying our ancestral land but my people have been continuously subjected to genocide and the goons, war criminals, rapists, crooks, corrupt, arsonists, book burning Fascists, ….. are being elected to run the government and also appointed to administer the state. Pls do your DNA test first. Rajeewa the original New I Year is Tamil not Sinhalese. The Sinhalese, Malayalis and many other ethnicities and cultures in South and South Asia , that are either offshoots of the original Tamil ethnicity or came under the Tamil Hindu cultural influence , when the Tamil Chola ruled SE Asia and started to celebrate this Tamil New Year or variations of it. This is why she wished the Tamils for their new year , as it is their New Year not Sinhalese , Malayali or anything elseor anyone else’s as all these people are offshoots of the ancient Tamils and are still celebrating this Tamil New Year , calling it Sinhalese New Year( sic) or Vishu. Sinhalese take everything from the Tamils , their culture, food, dance forms, dress , the gods they worship and even their festivals and they try to portray these to the world , as original Sinhalese culture, when it is not and they know it. Just because you celebrate the ancient Tamil New Year and call it Sinhalese New Year in the island and not acknowledge it is a Tamil New year , does not mean it is not and others should not acknowledge this truth. What a bigot and racist. Native Americans say ‘White people talk with a forked tongue’. On the other hand you type with no brain. Do you sincerely believe that there is a faster progress? If you believe, there is progress, please say so. No point in criticising a British parliamentarian for asking a valid question, or for commenting truthfully on the Srilankan Issue. Why do some always try to point out that the rest of the world has done terrible crimes and that they have NO RIGHT to point to the Sinhalese about their war crimes committed. It’s TIME that all war crimes committed by all parties investigated thoroughly by both LOCAL and International Judges. Karuna KP and Pillaiyan all taken to stand trial along with GR/Fonseka/MR & others. There is no doubt the colonisers did violate human rights in the colonies. Rajeewa Jayaweera, yet again, uses this to justify our own wrong-doings. For example, Karuna Amman arrived in London on a diplomatic passport. Authorities apprehended him, was deported after sometime behind bars. At the trial Karuna confessed as to who gave him the passport. No sooner Karuna came back, MR made him a list MP and rest is history. Rajeewa will blame Britain for the mess. Rajeewa wants to catch the eyes of someone. Guess whose. .
Let me guess, the queen perhaps. Maybe Charley’s daughter-in-law Meghan Markle. Or he is trying to impress his wife/partner?